A 15-year-old girl has died from the flu virus and a relative of hers remains seriously ill in hospital, SA Health revealed on Wednesday. The teenager, who was being treated for the influenza, died in the Flinders Medical Centre over the weekend. Neither her name nor the personal details of her relative have been released. Everyone needs a sweet hit, and you can’t get much healthier than the Three-Ingredient Berry Muffins. They’re sugarless, flourless and have just three ingredients, making them not just yummy but super simple, too! We make a bunch for the kids after-school and they go great in lunch boxes as well. Preheat oven to 190 degrees and prep a 12-hole mini muffin tin. Mash bananas well until they’re smooth, then whisk in the eggs to the mix. 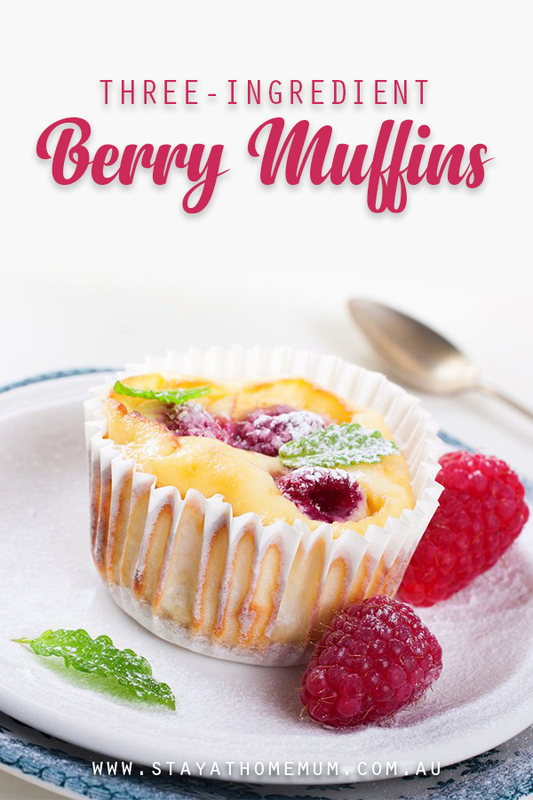 In your mini muffin pan spread the berries out, placing a few in each muffin hole. Pour the banana egg mixture on top of the berries, and then pop in the oven. Bake for 10-12 minutes, and cool before removing from the pan and serving!